As the baby boomer generation ages, retirement planning is becoming a common expression around Perth. 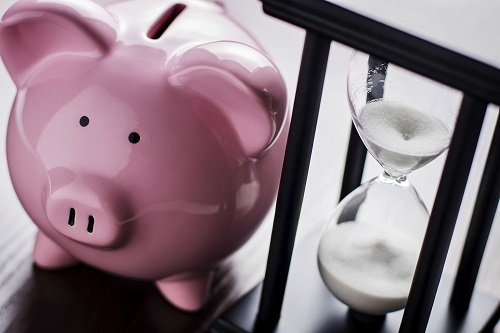 Some started planning early and some are in the “better late than never” category, but it certainly seems like Australians are paying more attention to what they need to do to retire comfortably than ever before. While a lot of Australians still use the default superannuation funds from their workplaces, the self managed superannuation fund has become more popular every year. Many Australians also choose not to self manage, but to choose from many of the super funds that are available instead of using their workplace’s default super fund. We can’t give specific advice to anyone without an individual consultation, but we would like to present five habits that those who are on the way to effective retirement have in common. I have heard these two sayings often: “It’s never too early to start thinking about retirement” and “It’s never too late to start thinking about retirement.” While it is much better to start as early as possible, even someone close to retirement age can benefit by talking to a financial planner about retirement. Active planners take charge of their superannuation funds and try to get a higher yield instead of just “going with the flow” at work. They pay attention instead of closing their eyes and hoping their super fund works out. Many choose to build wealth outside of their superannuation accounts. There are a lot of options and a lot of ways to invest. A qualified financial planner can help find investments that are appropriate for nearly any situation. Many people cringe at the idea of living within a budget, citing “lack of spontaneity” or not wanting to “be broke all of the time.” However, a well-designed budget can provide an adequate lifestyle now while helping one to save for retirement. The simple way to start a budget is to keep track of all expenditures and income. This act alone is an eye-opener for a lot of people because it makes them realise where their money is really going. It is a lot easier to formulate a realistic budget when a person knows what they are spending their money on. There are so many tax advantages and investment opportunities that it takes a full-time financial advisor to keep track of them all. In an area like Perth, where it costs a bit more to live than in regional WA, margins for error are smaller because there is less disposable income. For those who choose to invest in rental properties, it is even more important to receive professional advice. A competent, professional financial planner can make the difference between a modest retirement and a luxurious one. Professional advice is essential to maximising retirement funds, but it is also important for the client to know about investment assets. We are extremely talented and professional at Approved Financial Planners, but we also prefer that our clients do their own research and fully understand their investment portfolios. For example, those who prefer investment property often profit from knowing the real estate market. Those who prefer shares may do better if they understand the share market. An educated investor is often a better investor. Investments are taxed differently. Many investors choose to hire a tax professional to work with their financial planner. In addition, many financial planners know the ins and outs of superannuation taxation. For example, a super can be rolled over into an income stream investment, which is basically a pension that is account-based. Earnings within the account are not taxable. In addition, anyone who begins an income stream between 55 to 59 years of age gets a break called a pension offset which can have the net effect of thousands of tax free dollars per year. For an individual consultation with a qualified and professional financial planner, call our Perth office: 08 6462 0888.